React Native, initially developed by Facebook, is increasingly being adopted by a number of businesses. 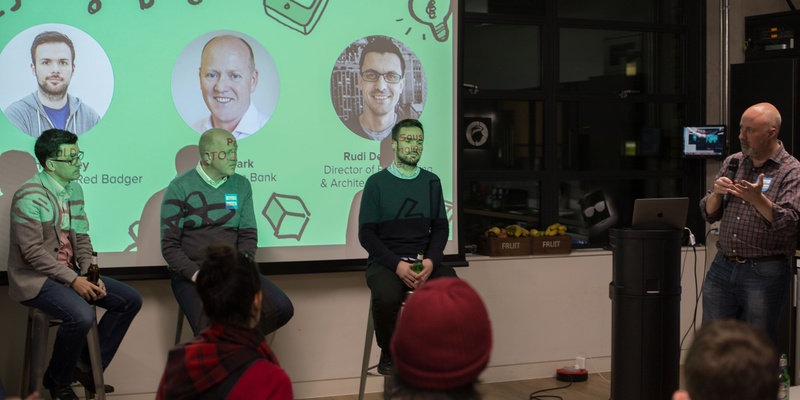 In November 2018, we invited 3 technology experts - Rudi De Sousa, Director of Engineering and Architecture at News UK, Paul Clark, CTO at Tandem Bank and Jon Yardley, Tech Director here at Red Badger to share their experience and insights on how and when to use it, and what the future of React Native will look like. The cost of getting an app to market is very expensive. If you’re willing to accept some minor compromises in performance, then it can get to market quicker and at a much lower price. React Native is constantly being developed with new features and UI components. Most recently, you can have one native code base that targets multiple platforms, such as Web. In the future it could be used to target other platforms such as VR, TV, watch or whatever device may be. Being able to iterate quicker is a huge bonus of using React Native. With React Native you can make real-time iterations, and therefore collaborate with your team more efficiently. The compile times with Native is jolty and makes it difficult to get into the rhythm - A huge time waster. As a business, we very much believe in tech agnosticism. It’s important to have engineers who are interested in solving complex problems with a range of tech, and not just using what’s familiar. If Flutter solves a problem you’re trying to solve better, then go with that. Thanks to everyone who attended. If you would like to find out more, please see our live recording of the event here.